During the American Civil War (1861-1865), a group of men and women banded together to create an independent community in Mississippi. They were farmers, poor people, slaves, runaways, deserters. They recognized that they were fighting “a rich man’s battle, but a poor man’s fight,” in that they were being used as fodder to maintain the socioeconomic system of the slaveholding south at the time. 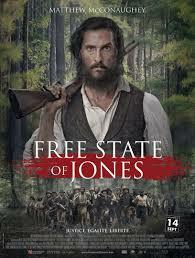 Free State of Jones (2016), starring Mathew McConaughey, tells the story of Newton Knight, a southern farmer, Confederate deserter, and inspiring leader of the Knight company. Gary Ross wrote and directed Free State of Jones, and also gave us Lincoln, 12 Years a Slave, Seabiscuit, and The Hunger Games. If you’ve seen any of those films, you’ll recognize his aesthetic, which leans toward muted, overcast, natural lighting and storytelling just as gritty as the outdoor settings in which he works. 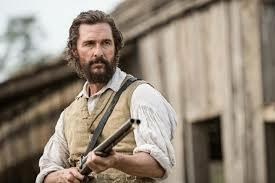 Ross and McConaughey bill Knight as a thinking, feeling, compassionate, brave man, uninterested in national allegiance and yet deeply committed to justice and his large and diverse circle of kinship. Knight recognizes that the war he’s fighting doesn’t benefit him. In fact, my major takeaway from the film was that, so often, we pit allegiances (such as those to nation, region, race, social class, etc.) against each other, often only to the benefit of the dominant and suppressing group. Knight deserts the Confederate Army, carrying his nephew’s dead body home. He joins a group of slaves hiding in the swamp, as he’s increasingly hunted, but the swamp hideout also grows. More people are deserting or running away, either soldiers or slaves. They build up their community. And eventually, they win enough skirmishes to come out of the swamp and take over the small town of Ellisville, MS. Eventually, the members of the Knight Company establish the “Free State of Jones” in Jones County and even pursue the Reconstruction-era work of dismantling slavery, registering former slaves to vote, rebuilding homes, and working farmland. It is not easy work and there are several heartbreaking moments in the film. But I thought it was extremely valuable that Gary Ross did not just end the film in typical Hollywood fashion: soldier deserts war, hides out, builds a company, wins the town, wins the girl, and settles down. No, Ross shows how emancipated slaves were promised 40 acres and a mule, only to be revoked that restitution once they started farming again. Southern plantation owners were allowed to return to their abandoned farms if they took an allegiance to the re-United States. Ross also created heroic and tragic scenes showing how hard it was for former slaves to vote and even just to live. Slaveholders and Confederate officers return as landowners, judges, law enforcement, and, of course, members of the KKK. Former slaves were never truly safe after the war, and maybe their descendant aren’t yet either, given the state of education, the prison system, and law enforcement in the modern United States. Before watching the film, I found an excellent article from Smithsonian Magazine on the real Knight history, as well as the making of the film and what members of the current Mississippi counties where this history is set think of Knight. In fact, Newton Knight has three lines of descendants: those from his first, white wife (Serena), those from his common law, African-American wife (Rachel), and those from Rachel’s daughter by another man. Knight may have been a “family man” in the most complicated sense. Modern norms might judge him harshly, as have at least a third of his descendants, based on Richard Grant’s research for Smithsonian Magazine. Many people in Jones County still harbor a very racist belief system and, as one townsman said, “a lot of people find it easier to forgive Newt for fighting Confederates than mixing blood.” The long read is worth it here. 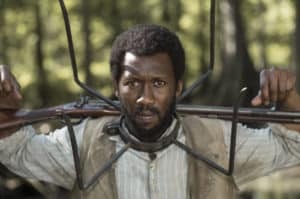 Even without the factual background in mind, Free State of Jones is compelling and honest in a way that not a lot of Civil War or Reconstruction movies are. It deals with the continued fallout of rebuilding the south as a seamless continuation of the war. The movie is fast-paced even for a two-hour and twenty-minute showtime. Still, there are a few minor flaws I could have done without. The transitions from year to year or era to era were a bit awkward. Sometimes the year or details on the era would appear on the screen in small font, at the edge of the frame. Other times, the year was sprawled across the entire screen in a large font. I would have to watch the film a few more times to see what that was about. Also, the film is interspersed with a court case from the 1960s involving one of Knights descendants, a grandson from his line with Rachel. As white as this man appears, he’s technically black by Mississippi standards of the time. He’s in court for marrying a white woman and thereby creating an illegal, interracial marriage. I appreciated seeing the odd consequences of Knight’s belief and actions nearly a century later, but I don’t feel like these scenes supported the overall movie. Notes on the court case would have been a fine addition to a prologue, though. Rotten Tomatoes raters weren’t so keen on the movie. The audience score was 65%. If you’re looking for a good action film, with a significant dose of history, and a rebel sense of justice, give Free State of Jones a try. And let me know what you think.